From left-to-right: Tracy Davidson, Larry Margasak, Brian Williams, Gerhart L. Klein, Claire Smith, Meredith Avakian-Hardaway, and John Oates. Photo Courtesy of Ryan S. Brandenburg, Temple University. Life boils down to what you stand for, what you represent. The Philadelphia Public Relations Association (PPRA) represents its members, communication professionals who exhibit honesty, diversity, and cooperation. Meredith Avakian-Hardaway, President-elect of PPRA, represents all of these qualities and more. Meredith brings honesty, character and a healthy work-ethic to everything she does, from her role as director of communications and marketing for the Philadelphia Bar Association to her work promoting justice for Armenian refugees. For all of these reasons and more, Meredith received the Lew Klein Rising Star in the Media award on Friday, September 26, at the Lew Klein Awards Luncheon at Temple University. The Lew Klein Alumni in the Media Awards honors media and communication professionals who excel in their fields and whose achievements bring honor to their profession. Meredith was honored alongside well-known media professionals Brian Williams and Tracy Davidson of NBC. John Oates, from the band Hall & Oates, Gerhart L. (Jerry) Klein, of Anne Klein Communications Group, retired Associated Press journalist, Larry Margasak and ESPN news editor, Claire Smith. “She exhibits the very best qualities of a public relations professional. A highly poised and effective communicator, she has a creativity, vitality and passion for her work and a true devotion to advancing her profession,” said Mark A. Tarasiewicz, PPRA Hall of Famer and Executive Director at the Philadelphia Bar Association. “Meredith’s thumb print is all over today’s up-and-coming Philadelphia PR practitioners. Countless new professionals I meet consider Meredith an inspiration, if not a personal mentor. And they should. Meredith is a consummate communicator, an inspiring professional, a generous volunteer and a natural leader,” said Christopher Lukach, President at Anne Klein Communications Group. Meredith continues to help and impress everyone she encounters, making no one more deserving than her to receive the Lew Klein Rising Star in the Media Award. This post was written by PPRA member Faiz M. Mandviwalla. Faiz is a junior at Temple University studying public relations. He also interns at the Philadelphia Bar Association where he has the pleasure of working with Meredith. Connect with him on Twitter @faizmand. 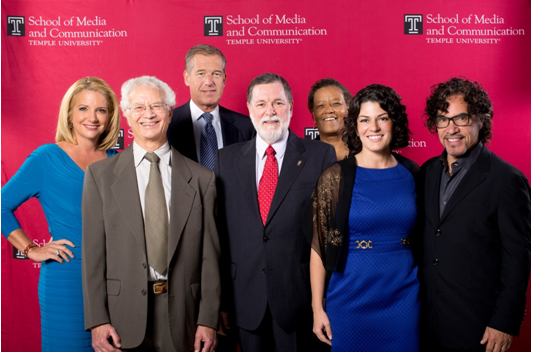 For a pre- Lew Klein Awards post he wrote visit Temple University’s PRowl blog here. This entry was posted in Current Events and tagged Awards, Connections, Honor, Lew Klein Awards, Meredith Avakian-Hardaway, Philadelphia, PPRA, PR, Public Relations, Relationships, Rising Star Award by pprablog. Bookmark the permalink.